Used for Thereom Painting, Pouncing, and Texturing. Soft, yet durable enough to use for blending. This natural hair brush is very durable for pouncing. It has a bushy property, the more you use it the bushier it gets. Great to make animal hair, teddy bears, and anything that needs a textured look. 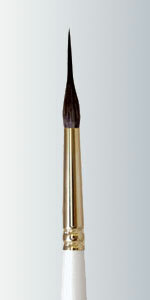 This Golden Taklon "Rosebud Brush" got its name because it is shaped like a rosebud. 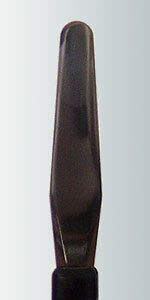 This is a pointed cat;s tongue that can be used as a filbertand brought up on the tip and used as a liner too. 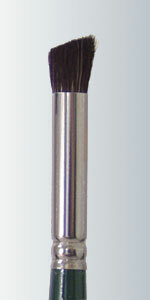 It is a unique brush and can be used in any medium. 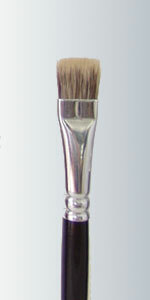 Series 600 - Atlanta Glaze - Size 3/4"
Stiff Glazing Brush. 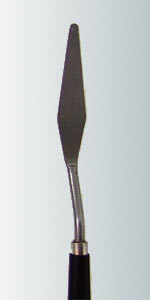 Used for glazing on ceramics and pottery. Also used for texture on soft greenware. Series 650. 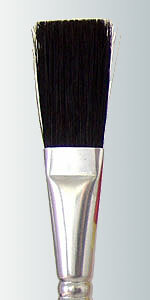 Economy Glaze - Size 3/4"
Stiff Ox Glazing Brush. Good for texture on soft greenware. 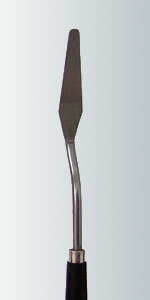 Used for all types of glazing on ceramics and pottery. 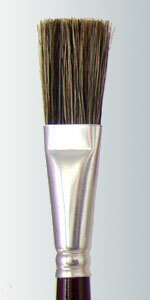 This brush is superb for all scrollwork, linework, filigree, tendrils, borders, and highlights. When loaded properly it will do most or all of your pattern without needing more paint. Used in all mediums. 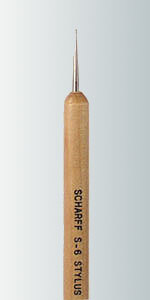 This Natural Fitch Hair Deerfoot Stippler has the perfect stiffness for most stippling affects. Used for texturing grass and pouncing. Used in all mediums. 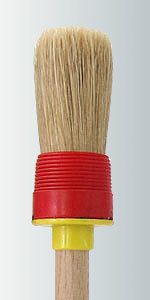 This little Sponge Brush is very nice for dabbing, rouging, and blending. Used with all mediums. 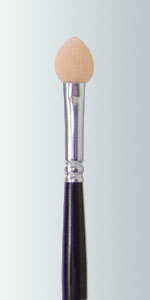 This little Sponge Brush is very nice for dabbing, rouging, and blending. Used with all mediums. It comes with a total of 6 replaceable heads. Used as a Counter Display. 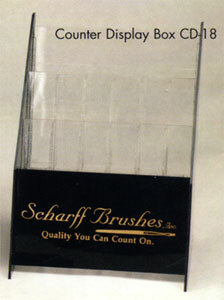 Has 40 separate compartments for standard and long length handles. 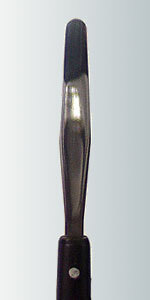 Mini Palette Knife - 2-1/2"
PK-2 Painting Knife - 2"
PK-4 - Painting Knife 3"
Double-end tracing tool with 2 different sized tips. Used as a Counter Display. Has 18 separate compartments for standard or long length handles. 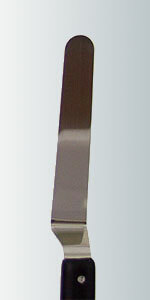 Each set contains one each of Series 738 sizes 4-6-8. 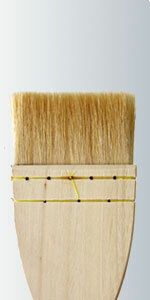 This 'Double Ended Wipe Out Tool' is used to easily "erase" or wipe out mistakes or to smooth color. Each tip is made of silicone rubber. One tip is pointed while the other has a beveled edge.